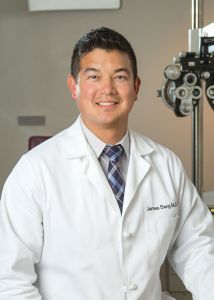 East Texas is home for Dr. Berg and he is thrilled to return to his roots and join the prestigious Lehmann Eye Center team. Dr. Berg grew up in Palestine, Texas. He received his B.S. in Biology from Texas A&M University. He completed his medical degree and ophthalmology training at Baylor College of Medicine in Houston, Texas. He had the honor of being selected to serve as Chief Resident for his final year of training. Dr. Berg is trained to perform traditional and laser cataract surgery and can deliver the highest quality intraocular lenses to correct presbyopia and astigmatism. 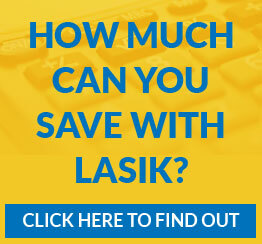 He offers patients minimally invasive glaucoma surgery (MIGS) as well as medical management of glaucoma. Dr. Berg also treats various retinal diseases including macular degeneration, diabetic retinopathy, and retinal vascular occlusions. Dr. Berg, his wife, Shelby, and their three young children enjoy country living. The Berg family spends time off camping, fishing, at the beach, and on lake trips with their two dogs. Dr. Berg is an avid college sports fan and likes attending sporting events with his family. Dr. Berg has also traveled to Guatemala for mission service and he speaks Spanish fluently.